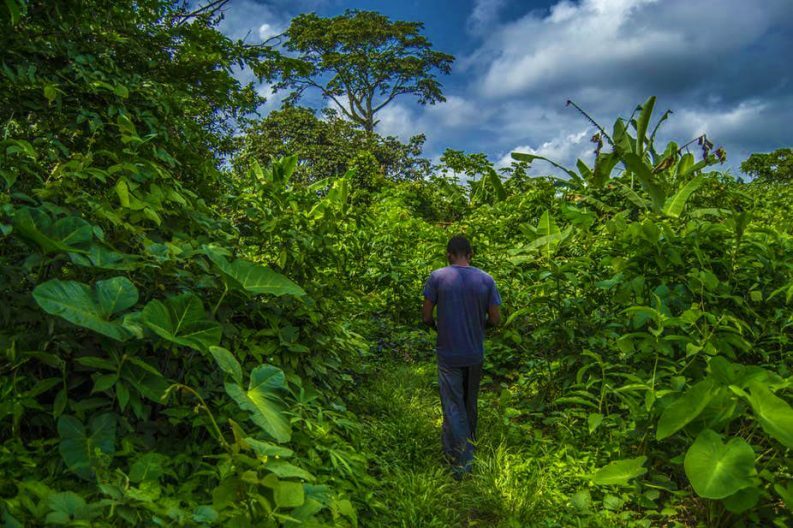 About 40% of Cameroon is covered in forest. Over about 25 years, 3 million hectares of its 22 million hectare forests have been cleared. That is about the size of Belgium. 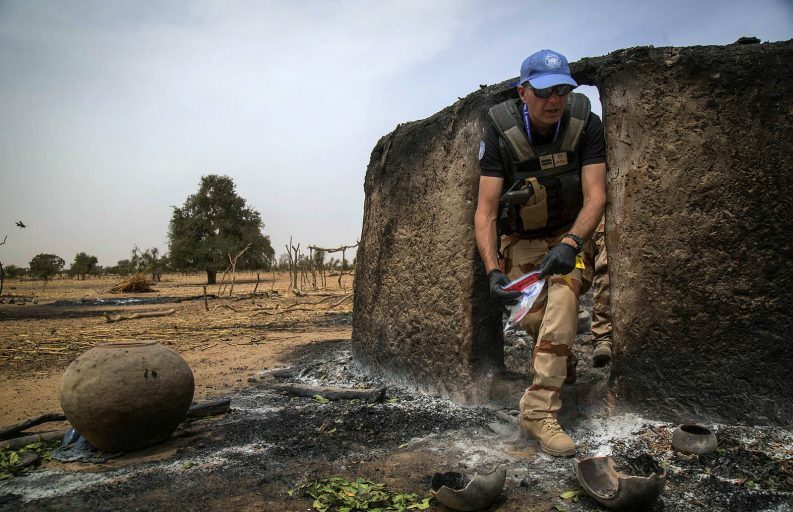 A UNPOL officer of the forensic team investigates the crime scene in Minima Maoude in Mali last month. (Photo/Marco Dormino/MINUSMA/Flickr). Ongoing violence is rooted in intercommunal tensions and spurred on by rising extremism in the Sahel. Jihadists have recruited heavily among Fulani herders in recent months. Fires on Mount Kenya are a regular occurrence. (Photo/BBC). 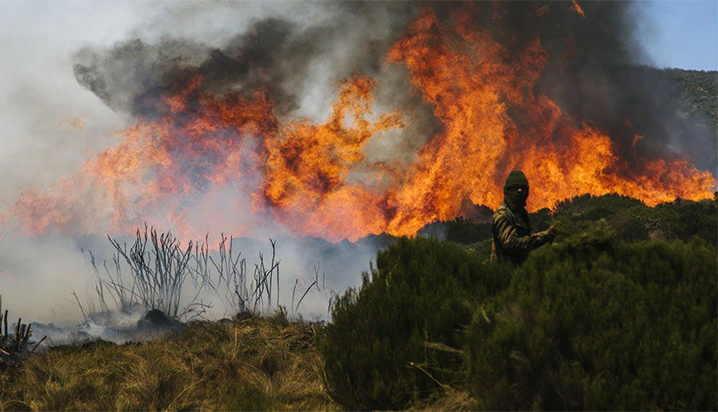 The majority of fires on Mount Kenya are caused by peoplewhen they clear land with fire for domestic animal grazing, to gather honey, for cannabis cultivation and charcoal production. 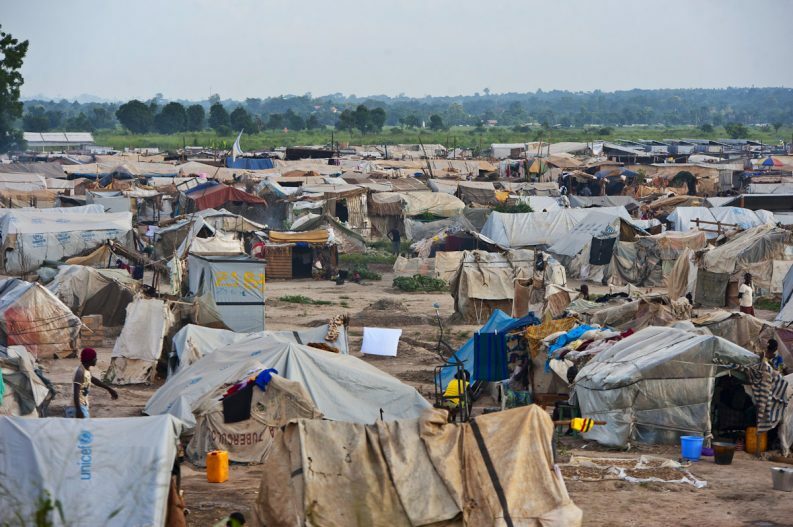 An IDP camp near the airport in the CAR capital Bangui in June 2014. (Photo/Catianne Tijerina/MINUSCA/Flickr). 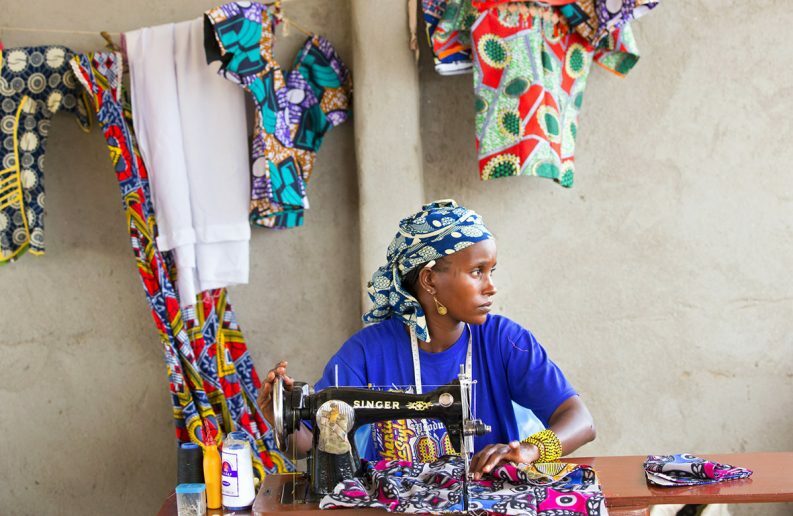 Financial impact of IDPs in CAR is about $230 million, or 11% of the central African country’s GDP per year.